Was that illegal? Possibly. Was your own data compromised? Possibly. Do you need to join the panicking mob and #deletefacebook from your life? That’s probably more of a personal question, but answering from a sheer security perspective, no, you do not. Facebook has come to define a new age of communication and staying in touch. You should feel free to continue using it, but take a moment to safeguard your privacy. The tools are there. Because many may not take the time to tinker under the hood of their account, we’ll point out some of the bigger privacy controls at your disposal. 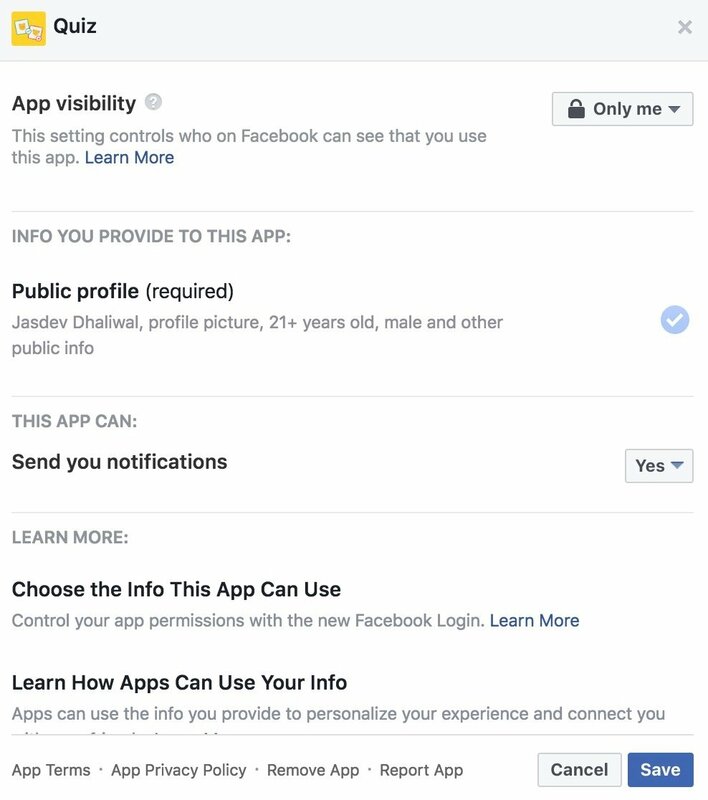 Remember, when you complete a survey or quiz from your Facebook account, you’re opening a doorway between the company who created it and all the data in your profile. While you’re taking that survey, the company has temporary access to all your information. Sure, it can be fun to learn which Hogwarts house would be yours, but at the cost of privacy, it’s probably best to avoid the clickbait.